To make the most of your pool this summer, it’s essential that you keep your maintenance program on track. Regular treatment and maintenance will ensure your pool performs at its peak during the weeks of scorching hot weather. If you are interested in receiving a personalised treatment plan, head into your local BioGuard Approved Retailer. If you haven’t taken it off already, the arrival of summer means the time has come to take off your pool cover and let your pool breathe. Drain off any water that has collected on the cover, and do your best to ensure that this water does not go back into the pool – as contaminants in the water can wreak havoc with your pool balance and algae growth. Give the pool cover a good clean and store it away out of the sun, this will extend its longevity. If your water level is low, give your pool a generous drink. Ensure the level is at the middle of the skimmer opening to allow for proper circulation. 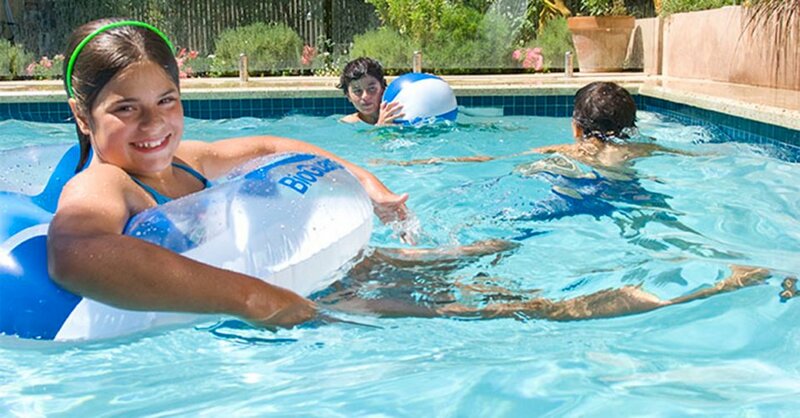 Once you’ve topped up your water levels, leave the pool water to circulate for 24-48 hours. Fill a water sample bottle (with water collected at elbow depth), and visit your local BioGuard Approved Retailer for a state of the art water test. Give your hardworking pool equipment a once-over and make sure everything is in good working order. If you come across damage or something that doesn’t look right, take a photo of it and head to your local BioGuard Approved Retailer for assistance. 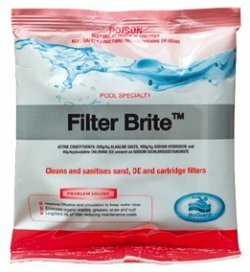 We recommend using BioGuard Filter Brite™ to clean and sanitise your filter. It restores your filter’s efficiency by removing scale and rust deposits, greases, oils, and organic wastes. It will also extend the life of your filter! If you’d prefer to undertake the water testing yourself, we recommend using the Biolab 6 in 1 Test Kit or Biolab Test Strips. 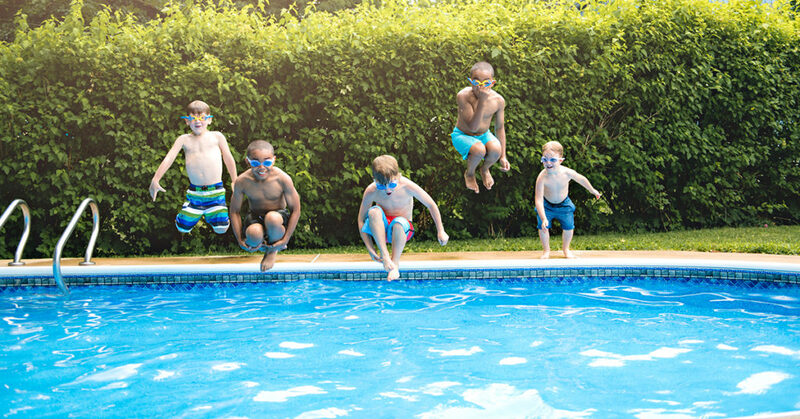 Healthy pool water sits at a free chlorine level of 1-3ppm and a pH of 7.4-7.6. Following our simple maintenance program during summer will ensure your pool water is healthy and sparkling over the warmer months. If you’re after more pool and spa tips, head to our Facebook page.